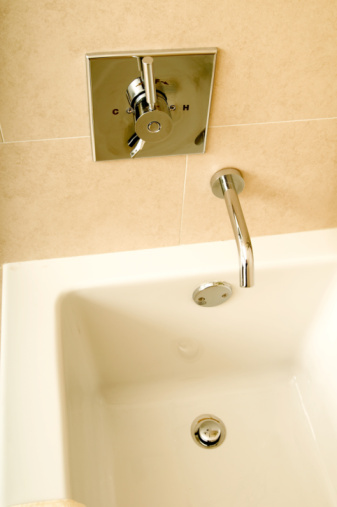 Lime buildup in a shower drain occurs over time due to hard water that contains sodium, magnesium and other chemicals. 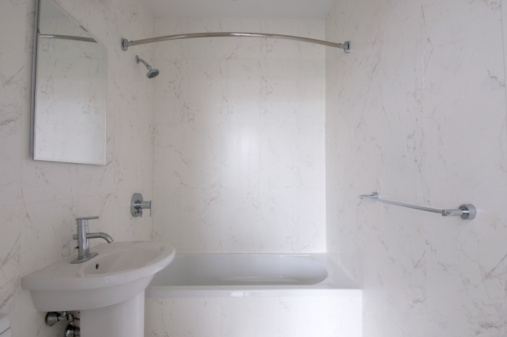 White vinegar is a natural cleaning solution that removes lime buildup from the shower drain without emitting toxic fumes commonly found in household drain cleaners. 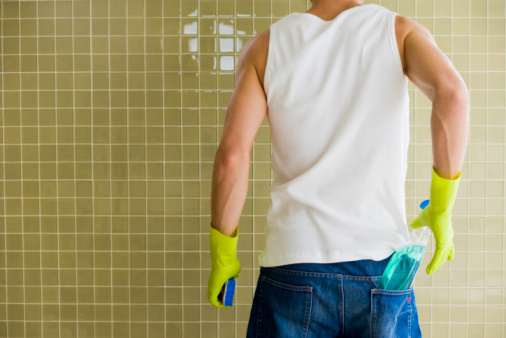 While non-toxic, vinegar is potent and should only be used in a well-ventilated bathroom to reduce inhalation. White vinegar and baking soda are potent cleaning agents that clear out lime buildup. Fill the pot with tap water and heat on the stove until the water begins to boil. Pour 1/2 cup of baking soda and 1/2 cup of vinegar into the drain. Wet the cleaning cloth with water and use it to cover the drain. Wait at least five minutes while the baking soda and vinegar bubble and fizz, which indicates that they are eating away at the lime buildup. Remove the cloth from the drain. Remove the pot from the stove and carefully pour the boiling water into the shower drain. Pour 1 tbsp. of vinegar onto the sponge, and wipe around the drain to remove the baking soda and vinegar solution that rises to the surface.